Pereion Solutions provides qualitative and quantitative marketing analytics services to capture the rich set of data on all visitors to your website, mobile, and social media sites. These services increase your ROI, reduce your cost, improve your top-line revenue, and provide valuable insight into the quality of your web traffic. IBM Tealeaf is a Customer Experience Management (CEM) solution that offers insight into your web visitor’s online experience by focusing on digital customer management and behavior analysis solutions. 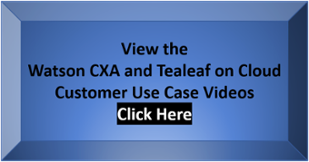 Industry-specific customer case studies are available on our IBM Tealeaf and Watson CXA Case Studies page as well. IBM Watson Customer Experience Analytics provides you with a a seamless, end-to-end view of the customer experience to understand and optimize every journey. 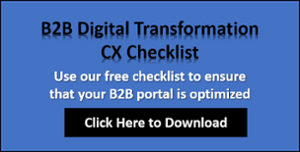 Gain the insights you need to resolve issues, boost conversions and maximize lifetime customer value. IBM Digital Analytics provides robust enterprise class web analytics capabilities. Formerly IBM Coremetrics, IBM Digital Analytics plays a critical role in IBM’s Enterprise Marketing Management (EMM) Suite by applying the knowledge of each visitor to the methodology that drives your digital marketing optimization. Google Analytics is a free Google service offering foundational capability for businesses of any size with a website. As the most widely used digital analytics solution today, Google Analytics tracks visitors from everywhere, generating detailed metrics about your website traffic so you’re able to grow your business. Pereion Solutions provides experienced implementation and consulting services for marketing and digital analytics to improve your customer experience. In today’s competitive world, you need 360 degrees of customer engagement across your web, mobile, and social interactions.